Rainy day in Bucharest, it looks like autumn finally came. After a very dry summer, the wet look of the streets changed our perspective: having lunch on a covered terrace, enjoying the last days of open air, that’s our plan. There are plenty of nice places in Gradina Icoanei Park area; we love this part of Bucharest. Beautiful old houses guarded by old trees, friendly architecture and landscapes, quiet streets were you can just walk and forget about the usual rush of the city. Hidden about a corner or on a narrow street there is a big chance for you to find an exquisite spot such as a teahouse, a garden, a bistro or a cozy café. 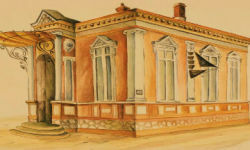 La Copac is a Bucharest traditional “gentlemen’s tavern” for gourmands on Pitar Mos St. (in the above mentioned area), serving fresh cooked meals with love and care for the act of cooking (and eating!). 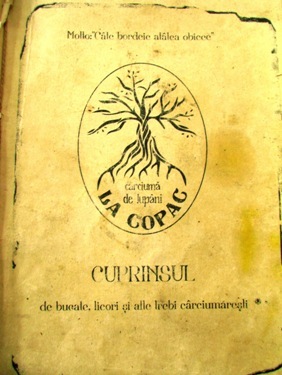 “Copac” means “Tree”, as an impressive old mulberry tree is the landmark here, roofing the terrace, protecting and inspiring the new gentlemen of modern Bucharest. So people here always feel inspired by the Bohemian atmosphere; we’ve heard the most interesting “philosophical chats” over a glass of carefully selected wine (the menu recommends special sorts to go on each dish!). 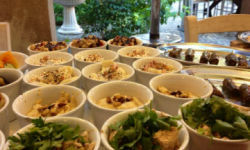 La Copac organizes frequent culinary workshops (called “culinary archeology”) where the food is as good as the atmosphere. We arrived at noon, guided by the barbecue smell. A young chef stirring a big pot just in front of our eyes, having the air of an experimented witch - this is an image hard to resist. 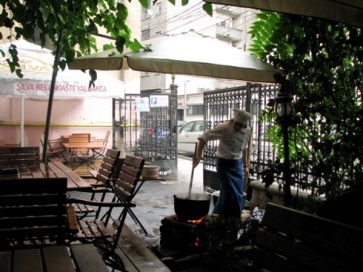 We took a seat on the wooden floor terrace, hiding from the rain and waiting for the last secret ingredients to be mixed together for the magic potion to be complete: beans sour soup (“ciorba”) with smoked meat. The menu of the day also included a top traditional gourmet main course: mutton mix (grilled pastrami and sausages) with “mamaliga” side dish (Romanian traditional boiled corn flour pasta) for the price of less than 9 Euros (soup and main course). 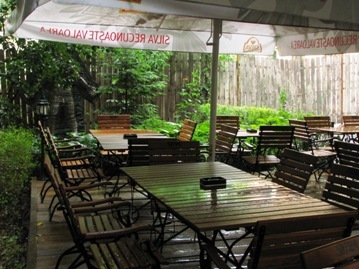 La Copac is also a great place to relax in the evening after a day at work, in the city centre yet far from the noisy Bucharest Old Centre… and it’s part, of course, of that “Bucharest underground” as we love to promote on Bucharest Tips! 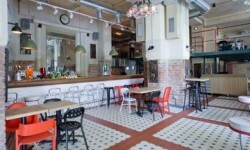 La Copac is a place already tasted by Bucharest Tips team. 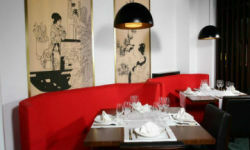 If you are a gourmand, or the intellectual type who love to dig for “culinary archeology”, or you just love traditions and old-fashioned “joie de vivre” (that means you can chat for an hour without the help of your Smartphone) we strongly recommend you La Copac, a gentlemen place keen to good old habits.